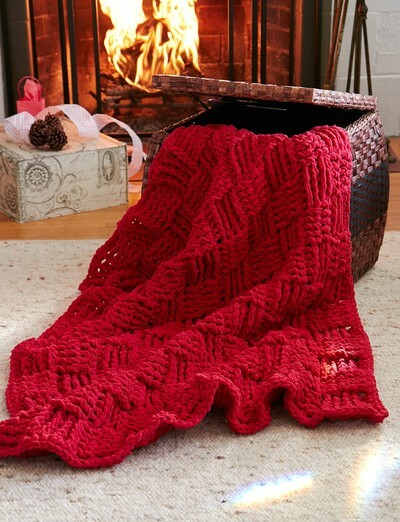 Embarking on a large crochet project like an afghan can be a little intimidating. There are so many factors to consider before you begin – am I using a yarn I can easily buy a lot of? Is this a design I won’t get sick of? What type of afghan would work best for what I have in mind? Sometimes this last one can be the hardest question of all, as there are so many different types of afghans! But there’s no need to worry. 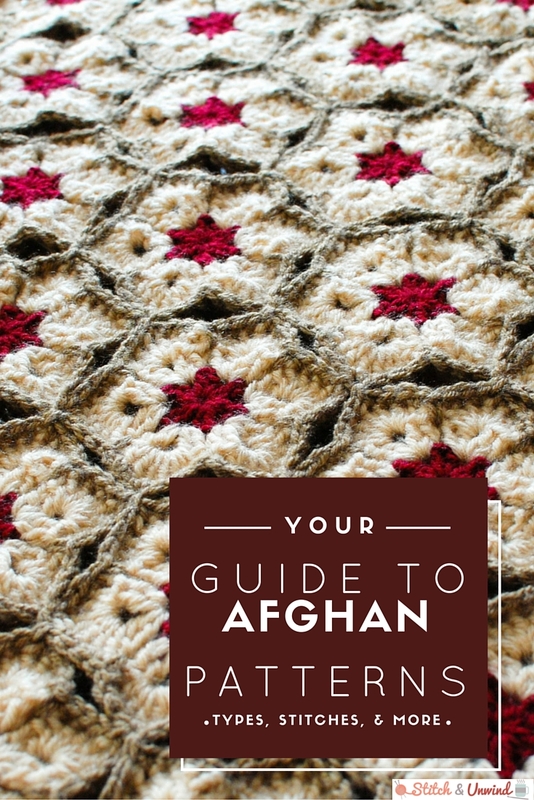 I’ve broken down the different types of afghans in this post so you can pick the one that’s right for you – and then you can get started with some of the free crochet afghan patterns provided for each one! Round afghans are, well, round! They have a circular shape that’s great because you can either make them large or stop whenever you run out of yarn. 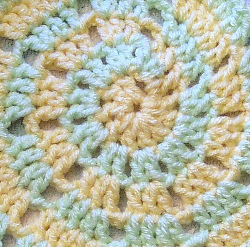 This technique can also be used to crochet round placemats or even tiny coasters! Ripple afghans have a zig-zag pattern that adds pizzaz. You can keep it simple with just two colors or create a rainbow pattern for extra fun! Basketweave afghans look about how you’d imagine they would – they have a texture to them that looks like the woven strands of a basket. 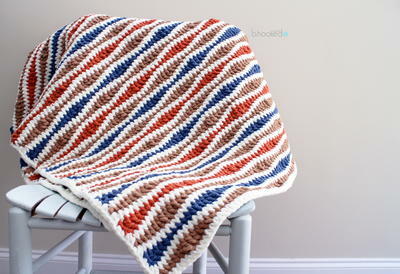 An afghan pattern like this can go a long way towards adding visual interest to a room. 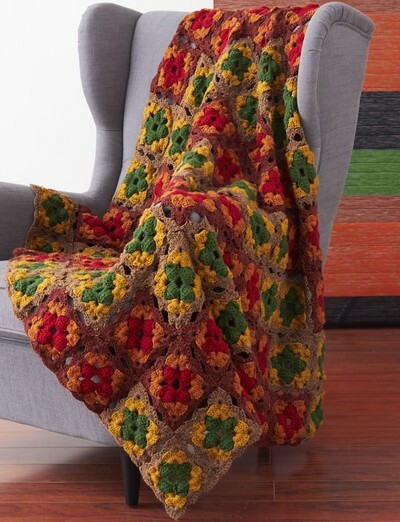 A granny square afghan is perfect if you’re someone who likes to take your crochet projects on the go, as you only have to make one little square at a time! The finished project can look as simple or as funky as you want depending on the kinds of squares you make. Here are some of my favorites! These mile a minute afghans get their name because they’re super quick to work up. 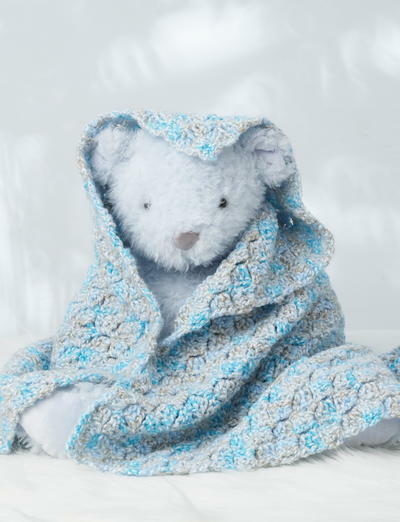 Make one this weekend and have a cute new afghan by Monday morning! 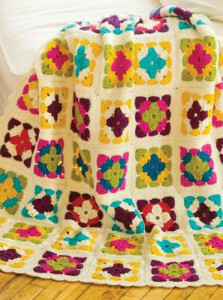 A motif afghan is one that’s composed of many pieces, or motifs. These are great because you can play around with different layouts before you put them all together! Corner-to-corner afghans have you start by crocheting one corner of the afghan, increasing to the center, and then decreasing again. 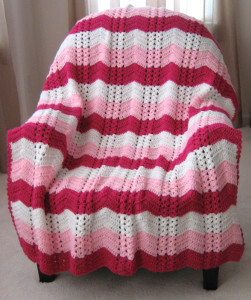 A join-as-you-go afghan is one that comes together as you make it instead of assembling all the pieces at the end. These afghan patterns are unique and so fun to make! What’s your favorite type of afghan?